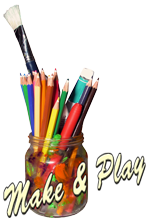 Welcome to Gentas - your wooden toys company website! Traditional – no paint, no glue, no metal pieces or other toxic materials – only pure smooth birch wood! Gentas toys develop visio-spatial processing, gross and fine motor skills, concentration and we cannot think of a better way to work on creative and logical problem solving! Please browse our eco-friendly wooden toys collection and decide whether the traditional, innovative and rewarding toy could be the right one for your child. Leading quality, design and durability. Ethically designed and manufactured in the EU. Toys are fully operable when built. Toys come with illustrated instructions and in a stylish box. "Owl hasn't exactly got Brain, but he Knows Things."